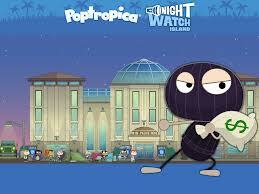 So the new poptropica island was released today & I’ve put together the full cheats for night watch island! First off though, I’m going to give everyone an idea of what this island is all about. In this adventure you get to have a mall all to yourself after everyone else leaves! Here’s the complete video guide for the new island. If you want to read the step by step tutorial you can find it below the video guide! Also be sure to subscribe to our youtube channel and sign up for a chance to win a free poptropica membership by clicking here! We try to give away 2-3 a week at PoptropicaWorld.com! We also sometime have flash giveaways where the first person to find the secret code on our website gets one for free! So check back every day and maybe you’ll be the winner! You are the night watcher and there is something weird going on. You are going to run into animals that are escaping from their cages, cat burglars that think they can out smart you and so much more! 1) First thing you need to do is go all the way to the right side of the parking lot. 2) Once you get there you will see the security guard and you need to talk to him. 3) After doing that you need to talk to the store owner in the parking lot who is wearing a NY hat. Then go apply for the security guard job. 4) Next you need to play the matching game and find the 5 different things in the pictures. 5) After beating the matching game you can test out the segway scooter and click on all the people you see around the mall. 6) Make sure you talk to the kid running up the escaltor then you need to turn around and chase down the theif. 7) To catch the robber you just need to run him over with your segway scooter. 8) After catching the robber you need to go back to the security office and look at the screen. 9) Look over the map and find out where Macguffin is located. 10) Now go back into the mall and towards the right, go up both escaltors and then turn left to go to Macguffins. 11) Once there you need to go inside macguffins and go sit in the quake master chair that is vibrating. 12) You will find the old security guards phone and you need to keep the phone. Note: The phone has a lot of important features including a security camera. Using this you can zoom in and view a bunch of different rooms by pressing the buttons. 13) Once you leave macguffins the phone should ring and it is about a disturbance at Sluggers. 14) So go down one more floor and into Sluggers. 15) Click on the box that is laying on the floor, then use your cell phone and call the store owner. 16) He will need you to check on his prized baseball card that is hidden in a safe behind the “take a picture with the champ” statue. 17) To open the safe you need to click on the statue and then use the combo code 6723. 18) The owner will call you and you need to put the card back into the safe and then leave the store. 19) Check your security camera and then you need to go to Giuseppe’s toys. To get there go all the way to the left side of the mall and up to the third floor. 20) Pick up the toy robot moving on the floor and then answer you phone. 21) Now go to the tanning Salon and go to the sunomatic 3000 tanning bed on the left side, there should be an old woman in it. 22) Your phone should be ringing now about a security alert at the good deals electronics shop. It appears someone has gotten into the mall! 23) Go to the good deals electronics store and your phone should be ringing again. The old security guard says he swears he saw someone there but now they are gone. 24) Now head to the Pet store and the owner will call you saying a pet snake is loose. 25) Leave the pet store and chase after the snake, following him all the way to the right side of the mall on the top floor. 26) Go inside macGuffins store and click on the small port-a-potty which should be shaking, you will find the snake inside it but it will get away. 27) Leave macguffins and head back downstairs to find the snake in the tanning salon this time. 28) You will find the snake inside the first tanning bed and he will get away again. 29) This time you will have to chase him to the left and find him in the Chinese food booth. 30) Use the toy bird you found in the toy store earlier to lure him out from the Chinese food booth. 31) Call the store owner and he will tell you that the snake is looking to take a nap and he will get him in the morning. 32) Your phone will ring and you will need to go to the Carnival Costumes, when you check the camera the signal will be lost. 33) So go up to carnival costumes store and walk inside to find the burglar. The robber will knock you down and the old security guard will call you. 34) Now go to Macguffins and hide until the lights turn off. The robber will run out of the store and drop a key. 35) The key is for the back room at the good deals electronic store, so go there and use the key. 36) You need to keep the lights on to use the key so use the toy robot you found earlier to keep the light sensors on. 37) Next go to the back room door inside of the good deals store and use the back room key that the burglar dropped. 39) The old security guard will call you and say you need to look for a clue inside of Printfax so go there. 40) Once you get to printfax on the other side of the mall, the burglar will come speeding out on a golf cart and run you over. 41) You will get called again and need to go to the managers office and get the scooter. 42) To open the managers office closet you will need to enter the correct password which is FROST. 43) After trying to get on scooter you need to go to Macguffins to get the charger. 44) Go back to the managers office and start charging the scooter. After it is charged ride it downstairs. 45) Now the burglar will will come up the escalator and you need to ride to the left to stop him as he comes down the other side. 46) When he flies off the golf cart you will see that he’s actually a robot, the snake will now steal the segway scooter! 47) Your phone will now go off again and you need to printfax and click on the printer. 48) click on the menu button, then click reprint last scan, then click print, and you will see it’s a scan of the baseball card! 49) The guard will call you then you need to go over to slugger’s store and click on the statue the safe was hidden behind. 50) After seeing it is missing (it fell to the store on the floor below) you need to go to the managers office and get the blowtorch hidden behind the picture. 51) Go to the new store on the right side of the mall and use the blowtorch to cut through the lock on the door. 52) Walk inside and to the right you will find the burglar trying to switch the cards. 53) Chase him into the air ducts and use the blow torch to cut through any of the metal bars blocking your way. 54) Then climb up the ladder at the end of the tunnel and jump up into the tunnel to the right, watch out for the fan during this part. 55) Next use the blow torch to cut through the next set of metal bars and keep following the tunnel over and go up the next ladder! 56) After confronting the the robber he will run off and you need to use the blowtorch to cut through the metal bars above you head. 59) After the burglar knocks you off the platform, go back up the right side where the two ladders are located. 60) Then go up the first ladder and use the blowtorch on the metal bar to your left side and climb through the tunnel until you get to the power box which you need to burn up to cut off the power. 61) Now the robber will be on a floating surface, so use the fan to float up then use the blow torch to cut down the bars on the left side. 63) Now he will be blocking it with the barrels so you need to cut the bars one more time and climb up the ladders to get around the barrels. 64) Finally when you get to the top the burglar will fall down and drop the baseball card. He pushes you out of a window but you both will fall into the fountain and the police will be there waiting to arrest him and award you for stopping the bad guy! Well that’s the complete cheats walkthrough for the new night watch island on poptropica, hopefully this will help you get through the game as fast as possible without having to waste too much time figuring out everything about it! Q: How do you get the lady out of the tanning salon? A: Once you tell her to leave, she will leave on her own. You can exit the tanning salon after telling her. Q: Where is the snake food on Night Watch Island? A: The snake food is the toy bird that you find at Giuseppe’s Toy Store. Q: What is the safe code in Sluggers? A: The safe code is 6723. Q: What is the password in the manager’s office? A: The password is FROST. Q: Where do you get the back room key? A: The robber drops the back room key when you see him at MacGuffins. 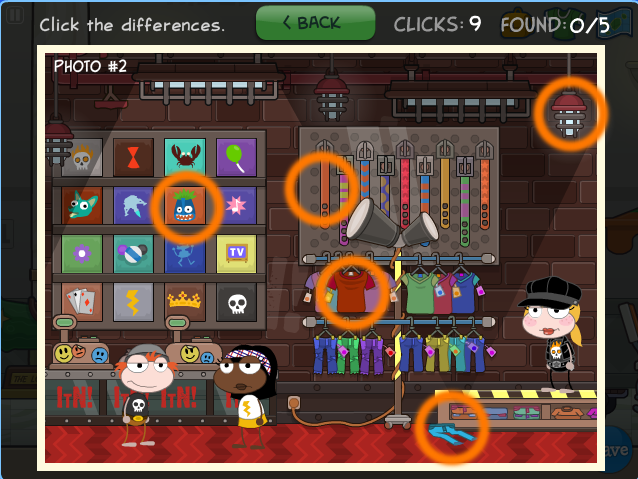 Q: What are the 5 differences in the clothing shop picture matching game? There is also a bonus mission so be sure to check it out! Note: We are constantly updating this post with all the cheats and video walkthroughs to help you guys out. So be sure to refresh this page or visit back often as our night watch island cheats guide is being built as we speak! Leave a comment on this post with any tips or tricks you find for the new island! Send this page link to all your friends or share it on twitter/facebook so everyone can see the complete Night Watch Island walkthrough made exclusively for you by SkyBoy303! What 5 different picture thing? Pleas help me! The video will be up very soon with everything in an easy to follow walkthrough! hey where did you get thoose cards? I only found three. one was at a tanning booth. one at the matress store. The other i dont remember. PLease HELP! Hey! I found 5 of the 8 cards. Please list the bonus quest cheats. i need to know where the cards are!!!! you will have to wait till the walkthough comes out. I have only found 6. Sorry Maria. Help! I found 7 of the 8 cards. Please list the stores where you find the baseball cards. there are nine cards i have eight cards and the guy at the sports place says theres still on more card left ? Check out our latest post, It has a step by step guide on how to find all the hidden bonus quest cards! I found 7 of the 8 cards.I found cards in Jolly Gifts, Crawl Mart, In the Now, No pain No gain, on the Saturn model, Space Time Pizza, Sizzle Tanning Salon, SlumberTown. Where do you find the last card. Never mind! I found it! Only 1 more left! i looked everywhere at space-time pizza, no pain no gain & the crawl mart and I didnt find the cards where exscatly do i look at these 3 places????????!!!!!!! i acually found the one at the crawl mart and the no pain no gain i just cannot find the one at spacetime pizza i tried making the oven really hot ad c what would happen but it didnt WOOOORK!!!!!!!!!!!!!!!! How do you get the one in No Pain No Gain???? I can’t reach it!! Hey skyboy303 can I win free membership because I want to be announce in your blog. I like your blog. And I already sign up for free membership. I you want to friend my username is zama-air. I found 8 of the 9 cards. I found them in Jolly Gifts, Crawl Mart, In the Now, No Pain No Gain, on the Saturn model, Space Time Pizza, Sizzle Tanning Salon, and SlumberTown. Where do I find the last card? Please reply. Please!!!!!!!!!!!!!!!!!!!!!!!!!!!!!!! kelszoovb1, add me! and thanks i needed that card! I found all the cards and the last one was outside of the mall on top of the roof. The last card is at Slugger’s. Where in Sluggers is the card? If any of you need help on the bonus quest, here’s where you find them. Jolly Gifts, Crawl Mart, In the Now, No Pain No Gain, on the Saturn model’s ring, Space Time Pizza, Sizzle Tanning Salon, and SlumberTown. The last card is outside. It is on the top of the Twin Palms Mall. That’s where you find the cards on the bonus quest. yea… with step 46, the snake steals the scooter (real name for it is a segway) not the golf cart since it is totaled…. Yeah your right, I’m not sure why I wrote golf cart haha. Anyways I fixed the error in the post! Who hates the elevator music? me, LOL, it’s a terrible tune. where is the bonus quest walkthrough!!! We made a separate page on our site for the bonus quest walkthrough! Read our night watch island bonus guide post! It tells you where to find everything! WHEN ARE U GOING TO GIVE AWAY MEMBERSHIP? Where is the TANNING SALON? How do you know that the password is ”frost”? While I was playing, I randomly guessed, and I got it right! why dont you have the cheats for the bonus quest on this page? because some of us are members and are stuck too!! ok when i make it to the tanning salon part,i always say ”some one is in there”. and my cell phone is gone .why is my cell phone gone and how do i open the tanning bed? where can i find the tanning salon? Coins regularly fall from the front and back of the turtle statue. If you stand on the bottom and let one fall on you , it will appear in you hands, and you can ride the coin machines to the left. Where are the cards scattered in the bonus quest? He’s not floating on anything he’s just pushing the wall. please helpe me i dont wanna start over! 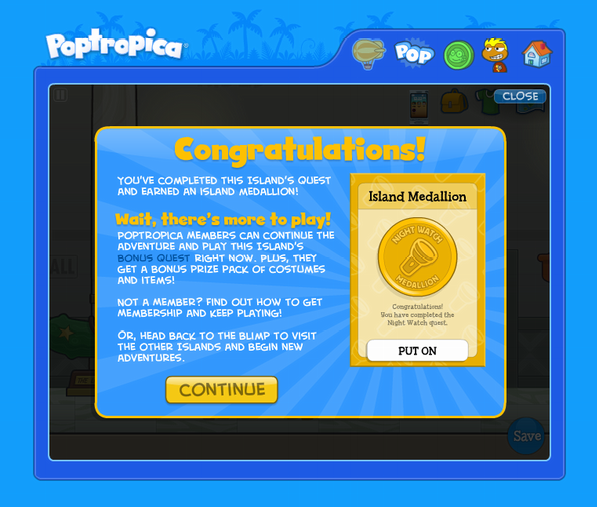 I finished the island & got a medal but I cant exit the island. When I try to go through the door saying exit, the ladys in there & she says follow me & my character automatically follows. 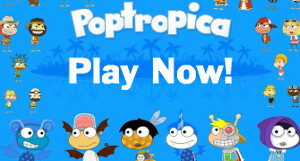 I <3 Poptropica & I wanna complete other islands but I've been stuck on this 1 for months & REALLY dont wanna start over! HELP! i know the code for mangers office ( from reading site ) but when i click on lock it says ” i don”t know the password ” what do i do?!!!! Also i did the snake bird thing and the phone dos’nt ring so what do i do i cantt leave island IM DESPRATE!!!!!!!!!!!!!!!!!!!!!!!!!!!!!!!!!!!!!!!!!!!!!!!!!!!!!!!!!! why don’t you have the walkthrough for the bonus quest???? I got the valuable card out of the case, but I don’t know how to put it back! And I can’t leave Slugger’s until I do. Help. i got the baseball card in the member quest. its silver and shiny woooooow! when in slugger’s click on the sign that says valuable trading cards to play a baseball player matching game!!!!! Also be sure to subscribe to our youtube channel and sign up for a chance to win a free poptropica membership by clicking here! We try to give away 2-3 a week at PoptropicaWorld.com! We also Go back to the managers office and start charging the scooter. After it is charged ride it downstairs. Does anyone play club penguin? How do you get the hat off? you can take the hat off when you hit customize and choose items from someone elses outfit, when you do this you should be able to click on your hat and it will remove it. how to apply for the job ? im confused . who to ask ?